Hello everyone as you all know we are in the month of Love, the month of Valentine. 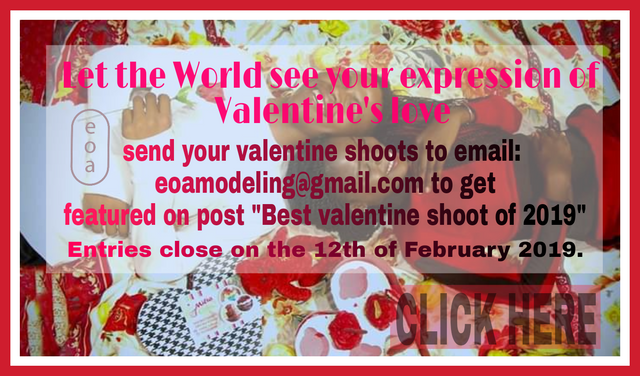 It is not a competition, it is a way to show the world the creative beauty of models and photographers worldwide. It if free, it is not a means of me trying to get money from you at all. To know more about the details, and to know the process to go through to get featured?